We were surrounded by a comfortable atmosphere. 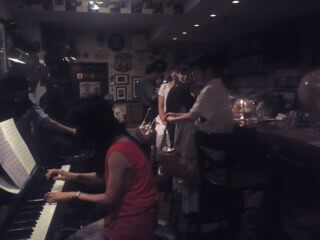 It's the performance swinging of the piano and the bass. Satomi Inoue's piano playing forgets us passing the time with the steady touches. 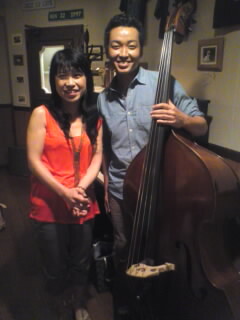 The sounds of Miyano's bass came to us even through a bare floor. We are looking forward to the next performance! Thank you for your message in English. See you on next live.. Copyright © 感性豊かに音楽とともに All Rights Reserved.